Iconic comedy series “Roseanne” will return to The ABC Television Network, Channing Dungey, president, ABC Entertainment, announced today. 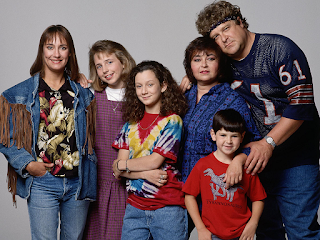 The eight-episode reboot, featuring the original cast – Roseanne Barr (Roseanne), John Goodman (Dan), Sara Gilbert (Darlene), Laurie Metcalf (Jackie), Michael Fishman (D.J.) and Lecy Goranson (Becky) – will air in 2018. Sarah Chalke, who played the character Becky in later seasons, will also appear in another role. “The Conners’ joys and struggles are as relevant – and hilarious – today as they were then, and there’s really no one better to comment on our modern America than Roseanne,” said Dungey.